In the Lab: Hydroponics Experts on the Future of Hydroponic Science - Rosebud Magazine Hydroponics Lifestyle Growing And Entertainment! Hydroponics innovators work hard to bring you the best growing experience possible. Growers know there’s nothing more exciting than discovering a new product that kicks their crop into overdrive. But did you ever wonder what goes into creating the next generation of hydroponic nutrients and lighting? 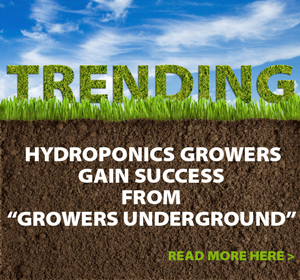 It takes years of research and development to bring a new hydroponic product to market. Rosebud is always looking towards the future of growing, so we talked to Advanced Nutrients Product Development Manager Jody Boates and technology and hardware expert Eli Weinkle, founder and President of Spectrum Services, to find out what it takes to turn an idea into reality in the world of hydroponics. Rosebud Magazine: Let’s talk about what it takes to develop something like pH Perfect® hydroponic nutrients or BaddAss Ballasts® for grow lights. Jody, what is the process like for you? Jody Boates: We have several departments that work together once an idea for a new product is initiated. [Advanced Nutrients founder] Big Mike has the idea, then the science team begins formulating test batches using high-grade ingredients. Many tests are administered to perfect the overall look, smell and viscosity of the product. Then several lab analyses are required until we are satisfied with the stability of the product. Once the product is ready for field-testing, we will work with many different growers that follow our instructions and provide valuable data about the performance of the product. While this is underway, another team is working on detailed white papers and special reports to share with the sales team as they participate in constant product knowledge training. RB: What do you consider the first breakthrough for AN? 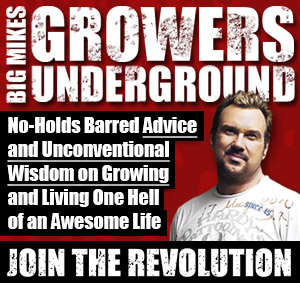 JB: This would be a question for Mike, but I do remember when we used to sell nutrients in our garden store that were very basic. People were willing to buy these products because there simply wasn’t anything better at the time. That is when we began our own line of plant nutrients. RB: It sounds like the products that were available previously weren’t consistently good because the creators didn’t have the ability to make a more sophisticated product. Was that the first step in the company’s development? JB: Yes, absolutely. I came in as a purchaser because the company wanted to start making their own hydroponic nutrients. Our aim was to source raw materials and to find the best-quality ingredients that we could. We were new at it, so it was very exciting because there was just so much that we could see needed to be done. We brought in people that had the right mindset, the right training – the biologists, the chemists, the growers – and with all their input combined, the ideas just came. RB: There must be a significant amount of research, not just in how to create the formulas, but also in keeping up with what’s going on in the larger realm of plant science. JB: We have many experts on our team that are involved in researching how many things affect plant growth, including environment and lighting, as well as the nutrients. We have testing facilities and greenhouses that are in constant use. We test in many growing mediums, not just hydroponics. We will be launching a new line of nutrients for growing in coco coir early in 2013. RB: Eli, what about your department – the hardware, the grow lighting, the ballasts? 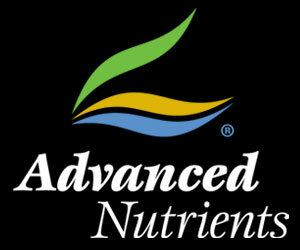 How did you first get involved with Advanced Nutrients, and what were some of the original goals? Eli Weinkle: My involvement with AN was a result of a chance meeting with Mike. My background is in military and aerospace electronics and manufacturing, and when I bumped into Mike, we got to talking about next-generation ballasts. He told me he had been trying to develop ballasts for some time, and during that whole time he was searching for a partner with the experience I had in product development. When I came on board, AN had already been working on a new line of ballasts for two years. What I discovered was that the team had taken the completely wrong approach. The product that was being developed was no different from what was currently available on the market. So we decided to scrap all the work that had been done, pull out a clean sheet of paper, and start from the ground up to develop something new and different that would change the way bulbs are lit. RB: So where did the original idea to switch from the industry-standard high-frequency ballast to low frequency come from? EW: Historically, there had always been lamp ballast compatibility issues. Case in point: Hortilux very clearly stated on their product packaging “not compatible with E-ballasts.” It was no secret that lamp ballasts had compatibility issues. What we discovered was that there was a resonant-frequency issue causing premature lamp degradation and lamp wear. Current ballast technology produces its output signal right in that resonant frequency “sweet spot;” this (frequency) causes compatibility issues with lamps. The other issue was the quality of the product currently available on the market – the product experienced high failure rates and lackluster performance. RB: So the idea was to make an E-ballast that would perform more like a traditional magnetic ballast; therefore, it would work better with the bulbs but also have the benefits of the more advanced E-ballasts? EW: Yes, to have the best of both worlds. Our goal was not for the ballasts to perform the same as those that had already existed, but to at least have the same compatibility. A low frequency ballast costs a lot more money to build than a high-frequency ballast, and switching technology for square-waves costs a lot more than your standard sawtooth waveform. But it’s ultimately the best technological approach to creating a far superior product. By creating a ballast that has such a steady output, you have a much cleaner signal. Our competitors have been known to release products with unstable frequency output due to inferior circuit design. It is also a low-cost workaround to get them around FCC compliance. RB: How does the BaddAss Ballasts® tackle that issue? EW: We wanted our products to be UL- and FCC-compliant. To make that happen, you have to meet certain standards. The cheapest way would have been to take a dirty signal and spread that noise over a wide range of frequencies so that there are no real big offenders at any particular frequency. If you have a more controlled signal, your noise levels need to be a lot tighter because if you do have noise, it’s going to be amplified over a very narrow band. The other thing is, by going into the low frequency, we avoid a lot of the noise area that mixes in with commercial broadcasts. So even though we have a noisemaker, we’re avoiding critical frequencies that might do additional harm to someone’s TV, cellphone reception or Wi-Fi connectivity. By no means are we guaranteeing that it doesn’t disturb it, but we try to minimize it and make it as clean as possible. Traditional high-frequency digital ballasts operate more in the commercial broadcast range. RB: A good tip for growers: If your cellphone isn’t working, make sure you’re not standing next to your ballast. EW: Ballasts, bulbs, blowers, your washing machine, your dryer, the compressor in your fridge and freezer – these big motor loads cause a lot of noise, not just through airwaves, but also through your power lines as well. RB: What about environmental considerations with the whole product line? JB: We don’t use any toxic products to make our nutrients, and our manufacturing exceeds all environmental standards. We make sure any waste is properly disposed of. RB: What about on the electronic side, like lower energy use? EW: All our tests have shown we put out more light running the BaddAss Ballasts® technology versus any competing technology. For the same amount of energy used, you get higher output. We put a lot of work into increasing the products’ reliability and reducing defects. This also equates to less ballast waste and a smaller environmental impact. Almost all of the products used in construction of the BaddAss Ballasts® are RoHS-compliant (Restriction on the use of certain Hazardous Substances). RB: What are the projects you’re working on now? What does the future hold for both the nutrients and the electronics? JB: We have 26 nutrient products coming out in 2013. A lot of those are going to be organic versions of some of our existing supplements. We also have a brand new user-friendly AN line called PlantLabs, which will hit the market soon. RB: Is there any pie-in-the-sky idea you’re working on that’s going to shake things up in five or ten years’ time? JB: We’re going to continue to focus a lot of our energy on providing non-GMO nutrients and educating people on how to grow healthy food for their families all year long. It can be a small system for their house. Our research and development team is constantly testing new formulas on all sorts of different crops. And as an international company, we are going to keep bringing the wonders of hydroponic growing to emerging markets all over the world. EW: One of the things we do is look at the next generation of technology, or the technology that’s two or three generations away. We’re always improving our existing product line so that the ballast of tomorrow will be an improvement of the BaddAss Ballasts® of today. We’re always getting feedback; we’re always tweaking, making improvements, and trying to make it a better performing and more reliable product. I guess you can call us a skunk works facility. Many of the products and projects we work on here are unknown to the rest of the company and corporate. These are projects that only the founders are privy to. Advanced Nutrients’ pH Perfect is just one of the innovative products brought to you by hardworking members of the hydroponics industry.